Like other Pacific Islands, storytelling in Guam has been an important method of passing knowledge from one generation to the next. Storytellers were respected members of society because of their ability educate and entertain. Stories were used to provide examples of good and bad, to help youngsters learn how to react properly to social situations. Many stories had a moral, or lesson, for the listener. 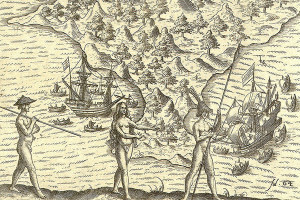 Jesuit historian Father Francisco Garcia noted in 1668 that Chamorro people had a love of debate and poetry, together with a tendency towards mockery, which has characterized the Chamorro people throughout history. They had huge feasts where they celebrated by telling their histories in oratorical, poetic ways. Legends probably began as a good story based on interesting characteristics or achievements of the hero. As the story passed from one storyteller to another through time, the details became exaggerated. Other legends were created to explain events that no one could understand. Every culture has a creation legend that explains how their land came to be or where their first people came from. Storytelling traditions of the Chamorro people were interrupted due to our colonial history. Our creation legend, for example, was lost during the Spanish missionary period. 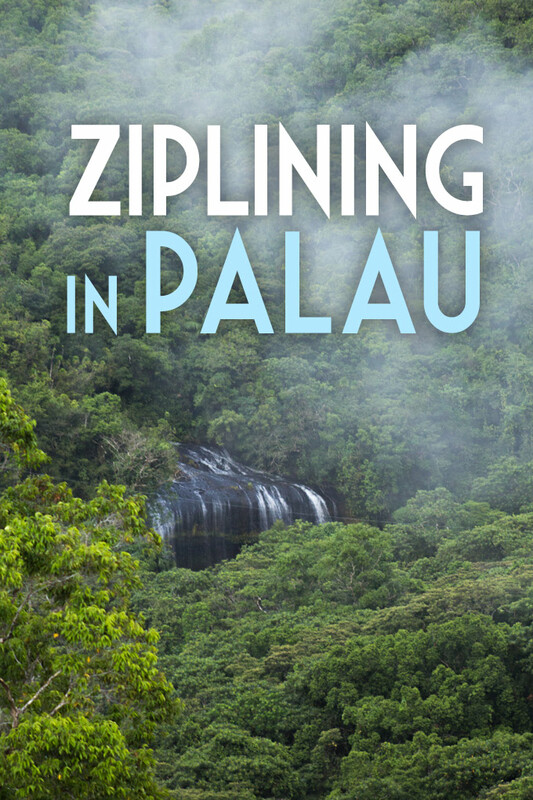 Fortunately, an early missionary heard the story and wrote it down, where it was discovered in the 20th century, among the writings of Father Peter Coomans, a missionary in Guam in 1673. According to his report, the natives of Guam claimed that the first man, Puntan, was born without a father and only one sister. When he was near death, he called his sister, Fu’una, and ordered that out of his belly the sky be made; that out of his lice and their eggs…be made the stars in the firmament, from his eyebrows originated the sun and the moon, and out of his eyelashes the rainbows. From his shoulders the earth was made, and from his ribs and bones the trees were to grow; from his hair came branches and green grasses, his bladder became the sea, and the lower extremities the banana trees and the reeds. His intestines became the sea straits and the ports… The whole human race began from a rock (called Lalas) that stands like a sentinel phallic symbol located off the western shore of the present-day Fouha Bay. Despite colonial attempts to erase the history of the Chamorro people, certain beliefs have persisted through the passing down of stories. The belief in ancestral spirits called “taotaomo’na” (“taotao” meaning “people” and “mo’na” meaning “first”) persists to this day. 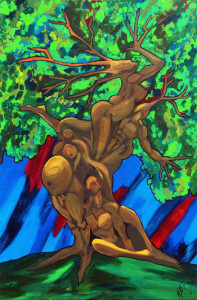 The banyon (Nunu) tree is particularly respected as the home of the taotaomo’na. The ancient practice of asking permission to enter the lands under the control of another clan has persisted in the continuing practice of asking the ancestors, or taotaomo’na, permission whenever one needed to trespass in the jungle. The words of the ancient chant of request have changed due to colonial language introductions, but the meaning and practice of asking has persisted. In his 1994 compilation of stories about ghosts and superstitious beliefs, Peter Onedera presents a version of the way one must ask permission to enter unknown territory. “Whenever one is away from home, such as visiting in the neighborhood…or some other activity, and the restroom is needed — and especially if one is outdoors — permission must be sought from the spirits of the ancient ones. This is what one should say: ‘Ancestors, may I please (state your intentions) because I am not able to reach my own home/place/property. Guelo yan Guela, kao sina ju’ (ha sangan hafa para u cho’gue) sa’ ti sina hu hago’ i tano’-hu ya dispansa yu’.” Failure to pay such respects to the ancestors has resulted in stories told by those who have been pinched or bitten, with visible marks to show for it; and, in extreme cases, become ill wherein no medical remedy can cure them. Taotaomo’na stories are a favored genre of contemporary storytelling. Throughout Guam, Rota, Tinian, and Saipan, storytellers add new stories about supernatural activities experienced by people of these islands today. While there are uncounted numbers of storytellers practicing today, official recognition was given to the late Clotilde Castro Gould, a master storyteller of Guam. Energetic, funny, sometimes ribald and always interesting, Clotilde (fondly called “Ding”) traveled extensively throughout the islands and to Pacific Islander events everywhere, representing Guam’s rich tradition of storytelling. She perpetuated the antics of “Juan Malimanga” by putting it in the daily newspaper as a comic strip. 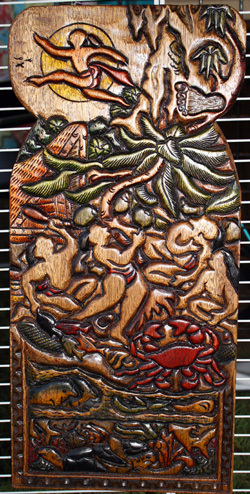 The character, Juan Malimanga, depicted a middle-aged, unworldly Chamorro man who dressed in an open-front shirt tied at the waist, rolled-up knee-length trousers, and zori’ (rubber thongs) on his feet. Other regular characters included Tan Kika’, an old woman in long skirt and slippers with a bandana tied around her head; and Nanu, a person of dubious age. This ambiguity allowed his character to act sometimes as a boy and sometimes as a man. The humor revolved around mis-communications due to word plays, often using typical Chamorro misuses of English words, and Juan Malimanga’s philosophy of life, which was to work as little as possible while using his wits to undermine authority figures. This comic strip continues to run in the Pacific Daily News in 2011. It is read by Chamorro speakers and those who use it as a challenge to practice reading the Chamorro language. In the Northern Marianas where Caroline Islanders (Refaluwash) share native citizenship with Chamorros, stories from both cultures have blended cohesively. Lino Olopai of Refaluwash ancestry who speaks Refaluwash, Chamorro and English languages, has traveled widely telling the stories he learned from his elders – of fishing, canoe traditions, and family folkways. One tradition he described at a storytelling event at Gef Pa’go Inalahan was that listeners must continuously respond to the storyteller by saying, “yehyeh”, or the storyteller would assume no one was listening and stop. This was practiced during his childhood when a storyteller would sit on the sleeping mats among children to tell bedtime stories. The storyteller judged whether the listeners were still awake by listening for the “yehyeh” response. When everyone was silent, it was a sign that the children had drifted to sleep. Peter Onedera continues the tradition of storytelling. Photo c/o Judy Flores. Contemporary storytellers can be contacted through the storytelling group, “Ginen I Hila’ I Maga’ Taotao – From the Tongues of the Noble People,” a non-profit organization formed by practitioners for the purpose of passing on storytelling traditions. They host several storytelling events each year, most recently their annual “Fright Night” Halloween storytelling event, held at night in the beachside jungles of Ipan, Talofofo. Over a dozen storytellers participate in rotating sessions where the audience is guided in the dark to each storyteller, raising hairs and squeals from the audience with their stories. This group usually participates in the annual November Gef Pa’go Storytelling Festival in Historic Inalahan, with each member presenting their specialty of scary, dramatic, funny, or ribald stories and skits that give insight into the Chamorro beliefs and sense of humor. This is a very fluid group, including recognized old-timers Peter Onedera, Peter Duenas, Toni Ramirez, Rosa Salas Palomo, Loui and Lila Gumbar, Victor Tuquero, Selina Onedera-Salas, and Beverly Acfalle, and constantly adding young new talent to keep the group fresh and pass the tradition along. Elders of Inalahan, such as Tan Floren Paulino, Ben Meno, Carlos Paulino, and others participate each year. Two recognized Guam storytellers, Cira McMillan and Jay Pasqua, who have moved off-island, continue to practice their art in U.S. Chamorro communities. 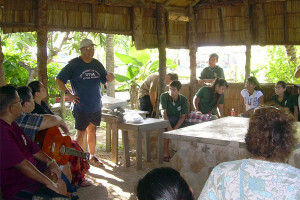 The Chamorro storytelling tradition is alive and growing. Check our calendar of events to see when the next storytelling event will take place — and enjoy the stories! Judy Flores, PhD. 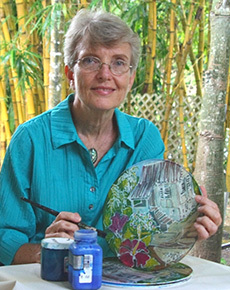 is a professional batik artist, historian and folklorist, using her art to depict Guam’s rich history and culture. She grew up in the village of Inalahan and continues to work towards restoring and revitalizing the early-1900s buildings as an educational and tour venue. She recently published her book, “Estorian Inalahan: History of a Spanish-era Village in Guam”, available at Framed, Etc. Gallery in Anigua, Bestseller Books, The Guam Gallery of Art, Gef Pa’go Gift Shop, and on her website at www.GuamBatikGallery.com.